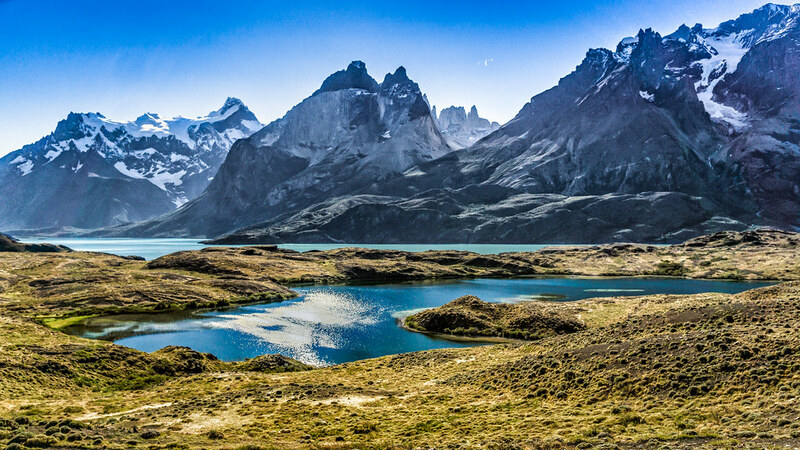 This national park is home to the Cordillera Paine in Chilean Patagonia. Most famous peaks are the three Towers of Paine (blue). We saw a variety of wildlife including condors, rheas, flamingos, and guanacos. 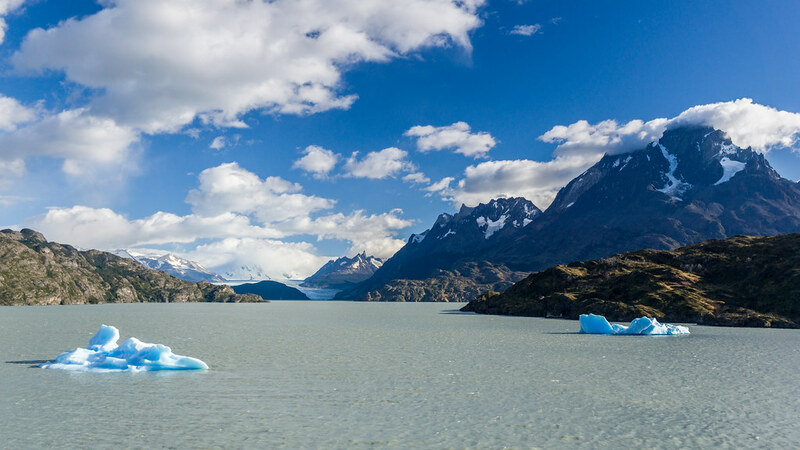 Grey Glacier flows into Lago Grey and provides a picturesque setting for enjoying the Torres.